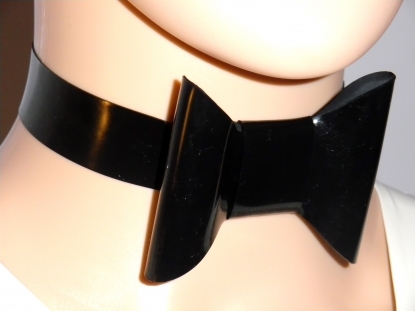 Choker with a perfect size bow for decoration. A slightly bigger bow than usual and one that stands out in a crowd to get you noticed. Fastened by a 3 bar clasp. Choose from a choice of colours. Small bow Choker also available. 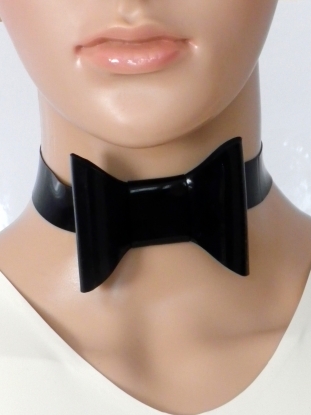 Smart plain choker in a single colour. Choker with a small and elegant bow on the front.